Shows, more shows and more shows. The newest idea in Vegas shows is all about going back to a fairly old one, having revolving casts and bills in the various showrooms. Both ‘Vegas Magic Theatre’ at the GoldCoast Hotel and ‘Avant Garde’ at the Plaza Hotel are shaking things up a bit and keeping the acts moving. 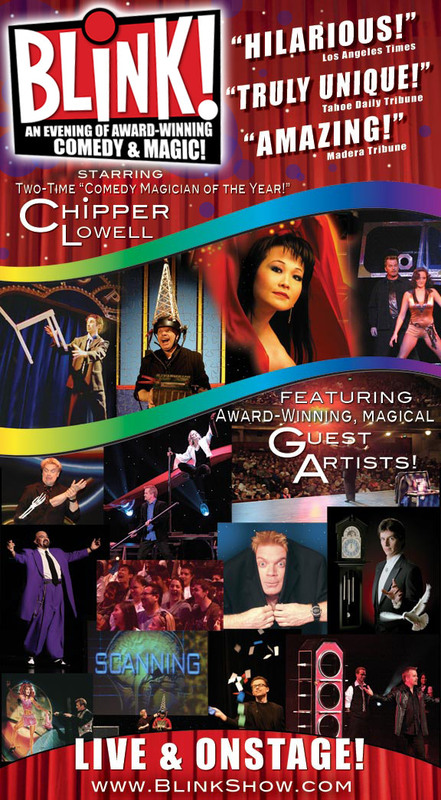 I have written previously about the Vegas Magic Theatre and it seems to be doing a great job in finding its market/audience. The ability to give a little freedom to your performers to appear elsewhere really gives the financial freedom to make such an all-star bill a practical concern. I think that this is a show that is going to be around for the long haul. The market has seen its fair share of solo performers who fill an hour on their own, however, a variety bill such as this is wonderful in so much as it lets everyone give their strongest punch. ‘The World’s Greatest Magic’ which had an extended run at the ‘Greek Islands’ was a forerunner of this kind of show and was a really enjoyable experience. There is something very sophisticated about a well-balanced bill that has something for everyone. It is a great value for the increasingly illusive tourist dollar. Mac King continues to delight audiences with his hour-long afternoon show. His subtle, and audience friendly show makes the 60 minutes disappear right in front of the audience’s eyes. He makes it look so easy that is deceptive that it puts a huge strain on other performers trying to follow in his plaid footsteps! Newcomers, Tommy Wind and Michael Turco are throwing their hats into the one-man show arena. Actually one-magician and reality show famous female, in Turco’s case! Their shows play respectively at 6:00 and 4:00 pm. I truly wish them the best of luck. There is certainly a large choice of shows to choose from in the Vegas market, I suspect that Turco will fare better as he is playing at the Saxe Theatre in the Planet Hollywood Hotel. His show will benefit greatly from the savvy involvement of David Saxe, who has grown up in and around the Vegas ticketing/sales market. The fact is that there are really just too many ticket choices in the Vegas market and the law of diminishing returns has become a serious factor. Not everyone who comes to Vegas wants to see magic 24/7. My guess is to look for ‘Avant Garde’ to become a strong contender to the current status quo. Meanwhile, in other markets, it is wonderful to see the continued strength and growing market that the venerable ‘It’s Magic!’ is achieving in the Theatre and Performing Arts Centre markets. Strong bills and great word of mouth have seen Milt Larsen and Terry Hill’s ‘Big Daddy’ of magic shows build and escalate in the Los Angeles area. It wasn’t so long ago that it seemed to be fading somewhat, but now it is back and blossoming, great news for magic lovers. Chipper Lowell has also done a marvelous job in creating and marketing his show ‘Blink’ in much the same markets. Based around the absurdly warm and likeable talents of Chipper. A glance at the show’s website, shows that he has taken a smart and unusual step in marketing his show. All Performing Arts Centres have nights to fill with shows that flesh out their season ticket sales, and can leaven the budgets for the more costly touring ‘Broadway’ shows. ‘Blink’ and ‘It’s Magic’ can both do that in spades! ~ by Nick Lewin on March 12, 2012.